Kempas Indah 2S Terrace House 13 Mins To Ciq. Taman Daya 4R3B Good Condition !!!. Dato Onn 24x70 4R4B Gated & Guarded. Seri Austin Fully Furnished House. Dato Onn End Lot Gated & Guarded. Mount Austin 2S Terrace Good Condition!. Brand New Valley West@Horizon HIll Iskandar Puteri JB. Sri Yacob 3RM Good Condition. Setia Tropika 2 Storey Terrace House For Rent. SETIA ECO GARDEN CORNER House. For Rent - Setia Eco Garden. Adda Height 2S Cluster For Rent Fully Renovated. Semi D Corner in Permas Jaya (The Straits View Residences). 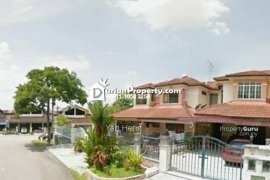 Nusa Duta BUNGALOW Bukit Indah,Iskandar Puteri For Rent/Sale. Hello, Please contact me, I am interested in houses for Rent in Malaysia. Best Regards.